I used to be one of those people who loved the idea of a yearly planner and would buy one, use it during January and then forget all about it. Yeah, that was me. 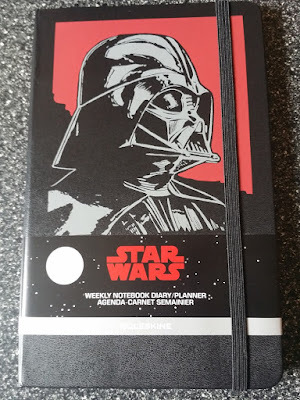 I know there are a lot of people like that, but I think the reason why I did this was because I never found the planner that was perfect for me. One day to a page was too much. One week to a page not enough. Even a week to two pages didn't keep my interest for long. 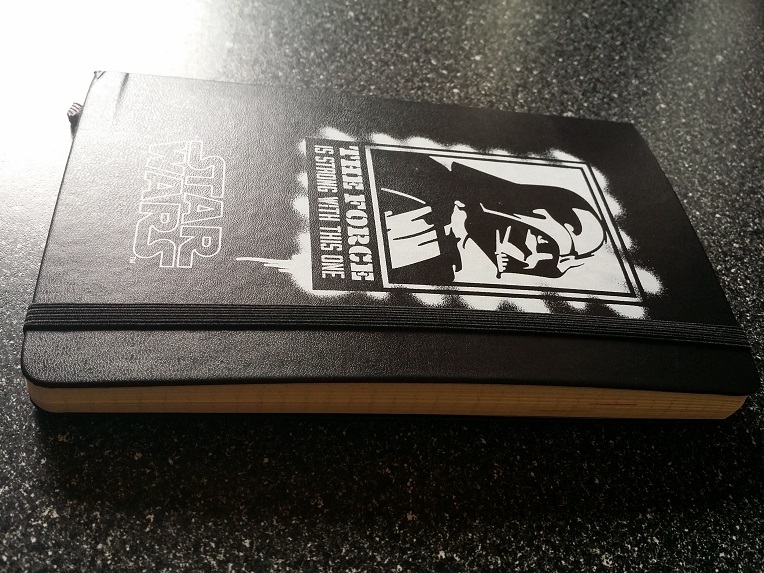 Then I discovered a little something called a Moleskine. While checking out the many lovely designs and inside options, I stumbled upon a planner that featured a Week To One Page Opposite a Blank Page. As soon as I saw it, I knew it was something I would be interested in. Unlike my previous attempts at trying to remember to add things to the planner before totally abandoning it, I actually used this up until the very last day of the year. As you can see, it's a little swollen on the inside but it kept its shape pretty well and didn't fall apart at all. When it came to replacing it with a 2016 planner, I debated whether to go for a completely different cover design and even whether I should stick to Star Wars... but of course I did. Whatever the reason, I'm looking forward to filling up this year's Moleskine with as much detail, stickers, updates and washi tape as last year's.